Edgar Vincent (Bud) Winans (1930 – 2017), Emeritus Professor of Anthropology at the University of Washington, died in his Seattle home on July 14th 2017. Bud was an internationally recognized scholar and teacher, and a respected consulting expert on development in East Africa. 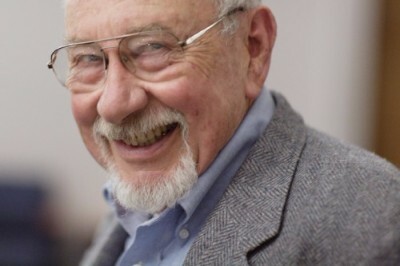 After serving on the faculty of the University of California at Riverside for a few years early in his academic career, Bud moved to Seattle to become a pillar of the Anthropology Department at the University of Washington, where he taught for half a century. He was an engaging and popular teacher at all levels, and he inspired generations of students with his knowledge and enthusiasm, his curiosity and concern, his wit and humor. Teaching and the relationships it created were his longtime joys. Bud Winans was born April 23, 1930, in Salt Lake City to Edgar McKinley Winans and Marye Vincent Winans. From an early age, Bud called himself an itinerant. He grew up mostly in California, moving to a new school each time his father’s career as a railway electrical engineer sent him to a new job. Bud attended 34 different elementary schools. As an adult, he continued the life of a traveler, explorer, writer, thinker, and analyst. He earned bachelor’s and master’s degrees and, in 1959, a doctorate in anthropology from the University of California, Los Angeles. Bud’s “itineracy” led him on many periods of fieldwork and consultancy. His wife Patty (Patricia Boyce Winans, who died in 1995) was an intrepid partner in each of the ventures that took them abroad. During these years in and out of the country, Bud and his family managed to stay deeply engaged with Seattle area life. Patty served for many years as librarian at Lakeside School. Bud himself was a member of the Board at the Overlake School in Redmond WA during the initial decade of the school’s existence. During his long career, Bud carried out two extended periods of fieldwork in Tanzania, exploring political and economic themes in the Usambara Mountains and environmental and historical themes in the Iringa region. He knew East Africa during the colonial period, saw the achievement of independence in Tanzania, Uganda, and Kenya, and worked to support the efforts of the new governments to plan for their countries’ economic development. In the best anthropological tradition, he combined scholarly academic work with practical engagement to improve social and economic conditions. His research was funded through the National Science Foundation and the National Institute of Mental Health. He maintained a long collaboration with the Ford Foundation and was twice posted to Kenya’s Ministry of Planning and Economic Development, where he worked with Kenyan colleagues to craft development policies for the young nation. He also worked as a consultant for the International Labor Organization and held guest researcher positions in Norway, Denmark, Germany and England. His life as a professor provided the structure to guide him through the grief and loss of Patty. He spent these last 18 years with his wife Janet (Whiting Levee) after their marriage in 1999. Upon his retirement in 2003, Bud continued as a mentor to students. He was regularly in touch with friends, colleagues, and former students all over the world. A memorial to celebrate the life of Edgar Winans will be held October 1st. Please contact Janet Winans at janetwinans@earthlink.net for location and time. Memorial gifts can be sent to the African Studies Department at the University of Washington to The Ottenberg-Winans Fellowship Fund, established to honor the contributions of Professors Simon Ottenberg and Edgar V. Winans to the African Studies Program. Deepest sympathies to John, Gretchen, and Janet, whom I have not yet had the pleasure to meet. Bud was one of the reasons I came to UW for my doctorate. He became the chair of my Ph.D. committee, and helped me greatly in organizing my research plan, maintaining funding for an alternative plan in Sudan when the Ethiopian coup eradicated Plan A, and guiding me through the dissertation process. But he was more than that to me. He was very collegial with his grad students, and his door was always open. Almost every day I would bounce ideas around with him, and not all academic! He was very gracious having me in his home, both in Seattle and in Nairobi. I can hear his voice right now. I am very grateful for all that he has done for me, and I am sure many others feel the same. While not one of his students, I am thankful that I had the privilege of knowing Bud during his later years through Janet. Bud was a true intellect, a wonderful storyteller, a deep thinker, and a wealth of knowledge. Because of this, I enjoyed soliciting his opinions and bouncing ideas off of him. He also supported me in my career, with resources for some of my papers and as a reference. Bud was a kind, amazing person, and I will miss him. My thoughts and prayers go out to Janet and Bud's family. Fifty years ago my introduction to the U Of W at 7:30 in the morning was Anthropology 101 in the HUB. No one told me it was dark then. Dr. Winans was always fascinating, engaging, humorous and worth getting up for. Later I had the brief privileged of being Gretchen and John's babysitter. They taught me what 52 pickup was. He was and engaging, generous and inspirational professor and man. I was blessed to have him, however briefly, in my life.